Never brew green or white tea at a full boil. This will scald the leaves and the tea will taste bitter. Steep the tea leaves in steaming water that did not quite reach a boil and leave them in for a more potent restorative. For Oolong (Afternoon Tea), heat the water to a full boil and steep for five minutes or longer. When the formula contains no tea leaves it becomes a tisane and can be brewed with boiling water. Our evening blend is not a tea, but a tisane – a natural remedy for insomnia, stress and anxiety. It can promote restful sleep and complete overnight restoration. It is designed to help you push away your day’s worries and stress so you can nourish your body with sleep and with Nuit’s high quality botanicals. This all natural rejuvenating blend promotes cleansing, liver repair & boosts skin elasticity, with ingredients which aid in the metabolism of carbohydrates & fats. You know exactly how the lack of a good night’s sleep can affect your life. It interferes with your focus and energy. But there’s another way insufficient sleep can affect you: it can play havoc with your waistline. Short sleep is increasingly common and recent findings worldwide suggest that sleep duration on workdays is declining. Lack of sleep will affect dietary choices, predisposing you to the tempting selection of energy and calorie dense, rewarding foods and sabotaging your hard earned weight management efforts. You are caught in a vicious circle of tiredness, leading to overeating, leading to anxiety and guilt and poor sleep. And it all starts over when the buzzer goes the very next morning. Combined during the day with either ABSOLU PLUS or ABSOLU, our evening detox, NUIT helps you to break that circle allowing you to properly recharge overnight, cleanse, and wake up ready and able to follow your healthy choices. When your days flash by and you find yourself lying in bed unable to relax and fall asleep. When you search for a natural weight management supplement but can’t find one that works without harmful side effects. When you look in the mirror and begin to notice the fine lines from lack of sleep and from reading your computer screen too much. Nuit will not only help you get quality sleep, it can work while you sleep, gradually cleansing and repairing your digestive tract and restoring your liver to help eliminate toxins naturally, while also assisting with proper digestion and aiding skin elasticity. It’s nature, plus our science, at it’s best! No miracles. Just continuous progress. Just our smart tea. We have chosen only safe ingredients which are suitable for prolonged use and are free from Senna. Nuit is also Gluten free, GMO free, and packed in a nut free environment. Get your body to cleanse from the inside overnight, while you rest. Carefully selected key components of our tisane have been tried and tested over centuries. They are known to be safe for long term consumption and are non-habit forming. Some find they even help in combating Senna addiction. Multiple trusted natural ingredients in our tisane can greatly reduce the time it takes to fall asleep and improve the overall quality of sleep. Precise combinations of our botanicals showed fantastic results in clinical trials even beyond our own research. Added to this Nuit can also relieve spasms and cramps. The active ingredients of Nuit cleanse and condition your digestive tract, restoring your body from the inside by healing and repairing cell damage. To protect your waistline, make bedtime a priority. And as you enjoy your enhanced sleep, your body actually repairs and restores itself. By reducing anxiety and improving the length and quality of sleep you will not only have more energy, but are more likely to eat less and chose healthier products. Recent studies showed that people who are tired from lack of sleep overeat and choose junk food over healthy, consuming up to 300 extra calories more per day, than when they were well-rested. Among others we included ginger in our evening formula because it’s an undisputed superfood: it promotes healthy blood pressure, stabilises blood sugar, helps regulate bloating and flatulence, may help managing migraine and even osteoarthritis, due to its strong anti-inflammatory properties. Feel free to add more. We tried and tested numerous blends but the aim was to have it all in one perfect “night cup”. And it was only after we added Chinese red dates that the blend became truly incredible. Red dates are famous in China as a young-prolonging fruit, improving skin elasticity and repairing cell damage. Boil your water to 100 Degrees Celsius. Add 1 x mini tuo to your pot or french press. Pour over the water and leave to infuse for 3 to 5 minutes or more. Pour and enjoy. Leaves may be infused a second time but with diminishing flavour and effect. Pressed mini tuos of top quality non-dependency-forming Asian botanicals which have been in use for hundreds and in cases, thousands of years. Senna Free. Without caffeine, to promote rest and relaxation. A dark and full infusion, yet light to taste. Distinct hints of ripened fruit and a subtle peppermint and lemon tang. The addition of fresh mint or citrus enhances the overall flavour. Add 1 tea cake to approximately 150ml to 250ml of water. Our Mini Tuo tea cake can make one to two normal sized cups. 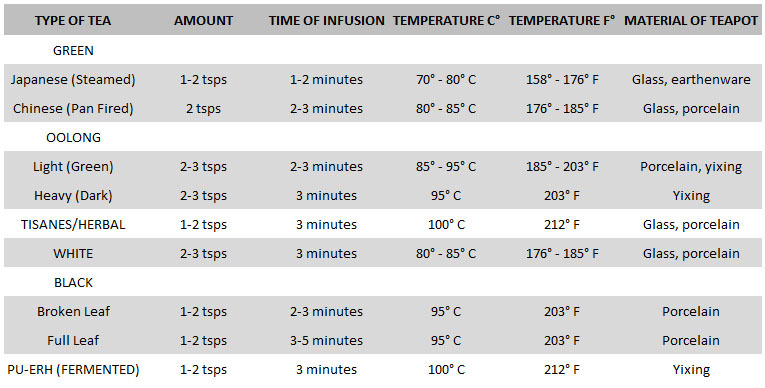 Infuse in 100C boiling water for 1 to 5 minutes. Varying brewing time can increase or diminish the detox effects.